As the 2018 Dota 2 season kicks off, controversy had already begun to swirl around streamers who broadcast or commentate matches from tournaments they aren’t running. While Valve has responded to the issue, the answers ended up being more vague than some had hoped. 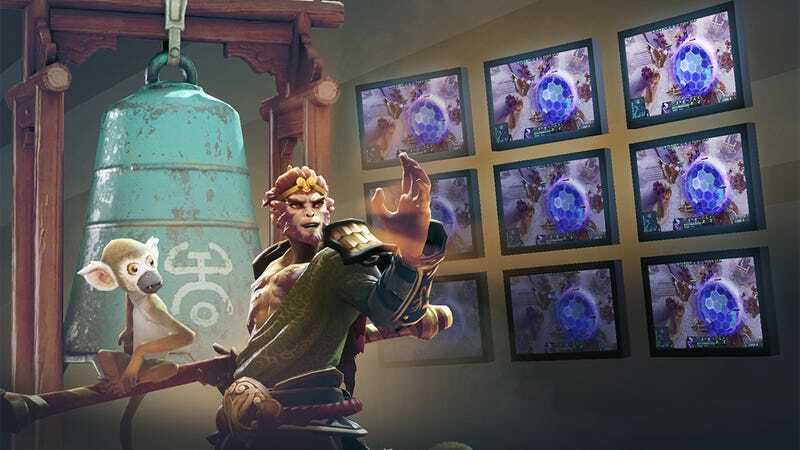 In a blog post last night titled “Broadcasting Dota 2,” Valve addressed a rising trend of prominent streamers broadcasting tournaments’ matches on their own Twitch channels. Personalities like GrandGrant and AdmiralBulldog would watch matches through the in-game spectator client, the freely available DotaTV, and talk over them. It’s easy to see both sides of this argument: Dota 2 has a history of community contributions, from in-game cosmetics to sites like DatDota and Dotabuff. But tournaments also need to bring in viewers, and having their content siphoned off and potentially profited on by others makes it difficult to sell to advertisers. Valve’s ultimate decision: Everyone should play nice together. To that end, in addition to the official, fully-produced streams from the tournament organizer itself, we believe that anyone should be able to broadcast a match from DotaTV for their audience. However, we don’t think they should do so in a commercial manner or in a way that directly competes with the tournament organizer’s stream. This means no advertising/branding overlays, and no sponsorships. It also means not using any of the official broadcast’s content such as caster audio, camerawork, overlays, interstitial content, and so on. Finally, this is not permission for studios to broadcast each other’s events. In general, everyone should play nice together, and we think the boundaries should be pretty clear. A nice sentiment, but many Dota 2 commentators, hosts, organizers, and personalities have noted the vague nature of this statement and the questions still left unanswered.